Adding a rainbow filter to your Facebook profile picture is not a substitute for calling out radical Islam’s violent hatred towards gays. Creating some lame, sappy hashtag like #PrayForOrlando is not going to stop radical Islam’s violent hatred toward gays. Tweeting #PrayforOrlando so you can virtue signal to your friends about how compassionate you are is not going to stop radical Islam’s violent hatred toward gays. Attending a candle-lit vigil so you can smear your Facebook profile with selfies for social approval is not going to stop radical Islam’s violent hatred toward gays. Tweeting #LoveIsLove to get one over on right-wing Christians is not going to stop radical Islam’s violent hatred toward gays. Tweeting #LoveisLove while you denounce those who stand up for gay rights in Muslim countries as ‘Islamophobes,’ is not activism. Risking your life to speak out against actual oppression of gays in Muslim countries, is. Labeling people who draw attention to Islam’s rampant homophobia as ‘divisive’ is not going to stop radical Islam’s violent hatred toward gays. 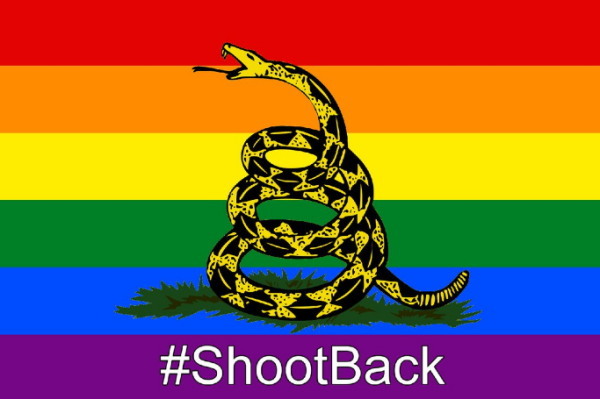 Calling the Orlando massacre a ‘mass-shooting’ so you can demonize the Second Amendment and absolve Islam of blame is not going to stop radical Islam’s violent hatred toward gays. Equating Christians who refuse to bake gay wedding cakes with jihadists who gun-down homosexuals in cold blood isn’t an argument. Hugging a Muslim isn’t going to stop an ideology that literally wants to destroy western civilization.